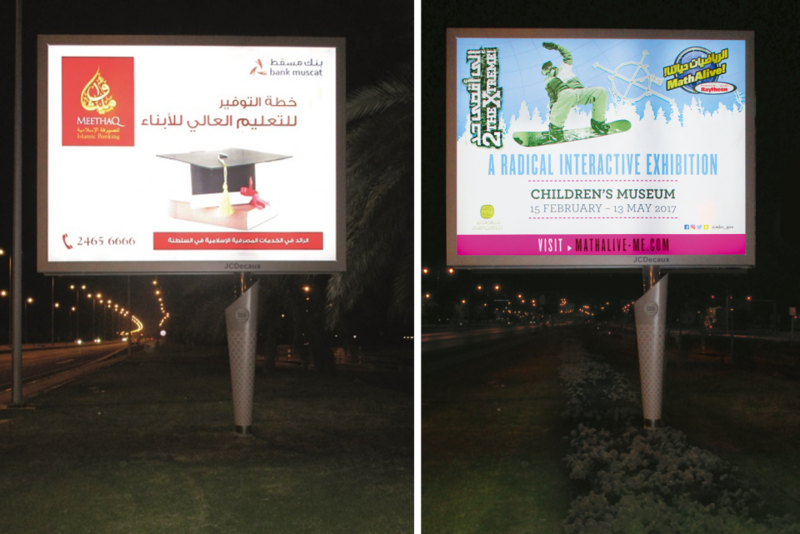 Bright Green Duo has been used to illuminate 50 double-sided led advertising sites in Oman. The decision was made to retrofit from conventional fluorescent tubes to LEDs to improve illumination quality, reliability and energy efficiency. 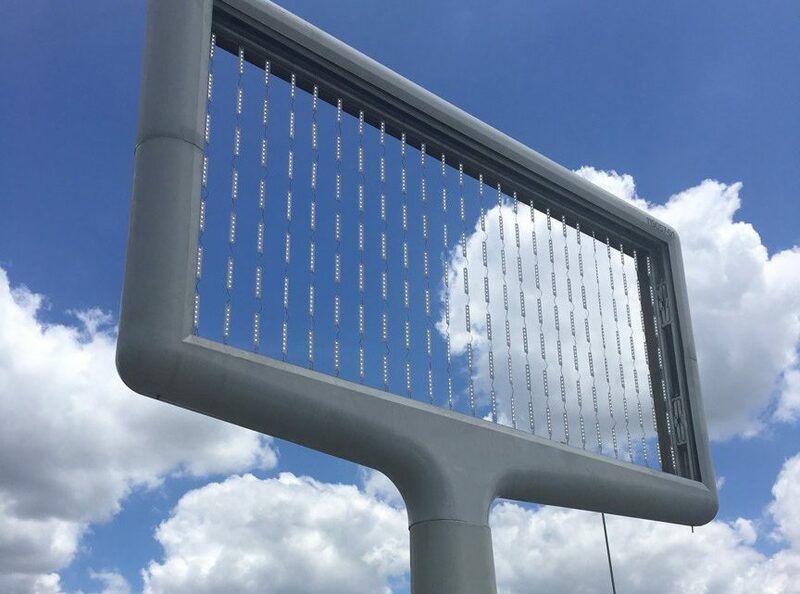 One of the challenges for JCDecaux was to find a product that could withstand local environmental conditions, with temperatures reaching as high as 50°C and very high humidity. Bright Green Duo is specifically designed for double-sided sites. The modules have 6 lensed LEDs on each side, meaning that only one string of modules needs to be installed into each double-sided box. The high operating temperature range and IP rating of the product make it suitable for the tough outside conditions.